Jaguar will be bringing a selection of its most famous models both past and present to the Goodwood Festival of Speed, including a unique new F-Type, the XFR-S and the XJR, along with famous heritage classics like the XJR-9, XJ13, D-Type and XK120. 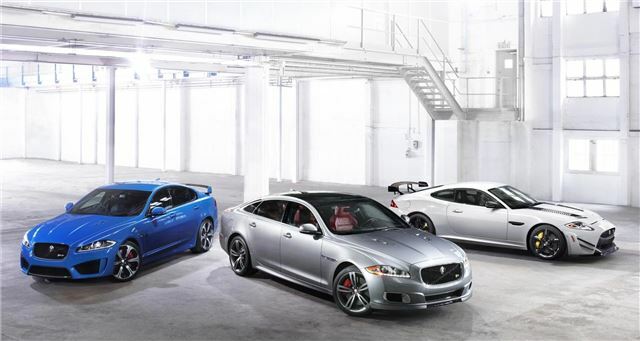 Jaguar has some famous drivers at the wheel of its models, too. On Friday 12 July the XKR-S GT on Friday 12 July, while the producer of Playstation racing series Gran Turismo, Kazunori Yamauchi, will drive it on the Saturday. Jaguar’s Chief Engineer, Mike Cross, will drive a one-off new F-Type up the hill too. No Goodwood Festival of Speed would be complete without classic models, though – and Jaguar has plenty. Highlights include the Jaguar XK120 and racing machines like the D-Type and Le Mans winning XJR-9. The latter won the Le Mans 24 hour race in 1988 with Andy Wallace, Jan Lammers and Johnny Dumfries at the wheel and Andy Wallace will take it up the hill at Goodwood.